Most pet parents with small and exotic pets struggle to find vets and doctors who specialize in the problems they generally face. 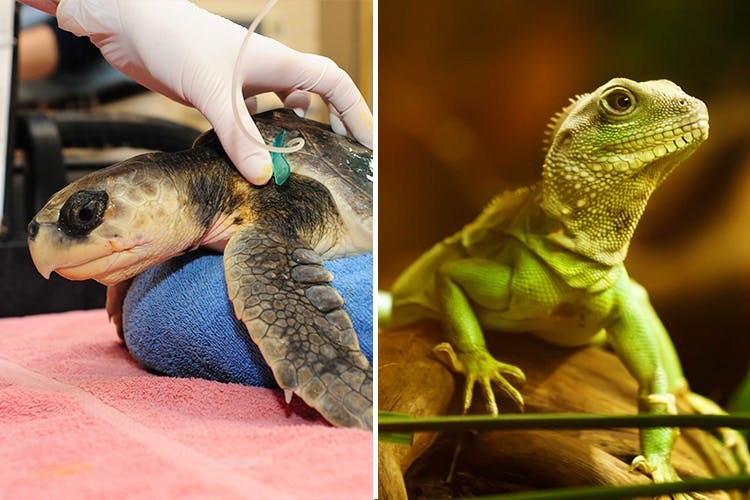 If you are one of those parents, you need to know more about Dr. Ashika Dhuri and Dr. Sharad Chavan, who run ‘Small & Exotic Animal Hospital which specializes in treating exotic pets. Located in Charkop amidst the busy suburbs of Kandivali, Small & Exotic Animal Hospital run by Dr. Ashika Dhuri and Dr. Sharad Chavan treats all kind of birds, rodents and reptiles along with dogs and cats. While all vets treat animals in a general manner, there have been no special doctors for the reptiles and other exotic animals. They require special awareness and delicate treatment and Dr. Ashika and Dr. Sharad have taken the responsibility to do that since 2014. Both of them have specialized in treating exotic pets. Their clinic is always full of various snakes, lizards, tortoises, turtles, iguanas etc. who get the treatment they need and deserve. They get a lot of cases of tortoises falling off multiple floors, chipping off their shells and sometimes cracking them severely. Both the doctors are very capable and patient in handling all kinds of pets, including restless and angry canines. They love animals, and they have dedicated their lives in providing essential treatment for them. If your pet is struggling with a problem which other vets can’t diagnose, then you know whom to visit. Keeping exotic pets in a city like Mumbai is an arduous and responsible task. It’s necessary that you take proper care of them and Dr Ashika and Dr. Sharad are here to help you.